YouTube your way to massive savings! I installed this awesome railing system myself, with no prior experience, Thanks YouTube! Last January, we signed a contract to sell our old home. 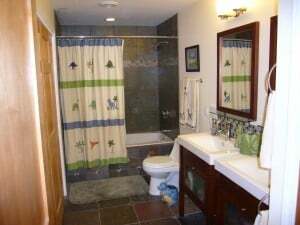 The buyers had a home inspection done and some of the “findings” were minor plumbing issues. Fine I said, “I’ll take care of it.” I’ve always done this type of work myself. 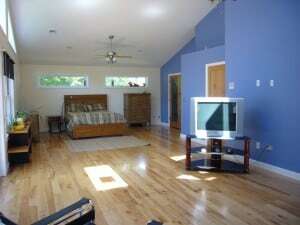 To set the buyers’ minds at ease, I offered them the opportunity to inspect it again when I was done. That wasn’t good enough. They wanted ‘their guy’ to do it. This sounded like trouble, but we had been trying to sell the home for over 2 years, so we decided to let this request slide. Their guy showed up and I asked him what he charged: “$99 for the first 15 minutes, $99 for the next 45 minutes and $99 for each hour after that.” He went on to explain that even if he went 5 minutes into the next hour, I’d be billed for the entire hour. Arrrrrrgh!!!! I almost passed out. It ended up costing hundreds of dollars for work that I could have easily done myself. I have no idea if this is what plumbing labor normally costs. However, even if this guy had charged me 1/10 of what he did, I still would have been able to do the job for cheaper (about $20 for some random PVC fittings). Sure, it would have taken me a bit longer, but not much and I would have saved a lot of money. It saddens me that more people don’t at least try to take on more projects themselves. 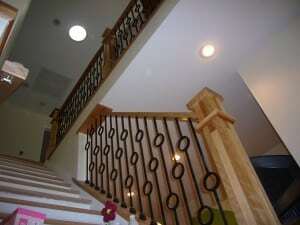 In my experience, most people are incredibly intimidated by even small home repairs or projects. Their first reaction is to pick up the phone and call a repairman. However, I want to show you a better way – YouTube. YouTube is not just for stupid cat videos anymore. Its a treasure trove of free, good information for just about anything. Want to learn to play “Stairway to Heaven” on the guitar? There’s a video for that. Want to learn how to brew your own pale ale (Mr. 1500’s favorite)? There’s a video for that. However, let’s talk about home repair and improvement. Anytime something has broken, I have always been able to find a video with good and detailed repair instructions. You may have manuals or a book, but nothing trumps watching someone actually performing the repair. Often, you can find very specific information. The videos I have found weren’t general ‘how to fix a leaking faucet,’ but specific to my brand and model. In November, the lid switch on my Maytag washer broke. Here is how to fix it. In December, my bathroom faucet started leaking. Here is how to fix it. Slate tile floor and shower with glass tile backsplash in the Dinosaur Bathroom. Awesome, right? 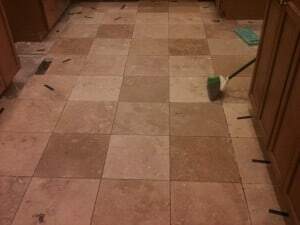 Learning to tile alone has saved me at least $20,000 in labor, but probably much more because of some of the natural materials that I work with. The best thing is there are tons of videos on YouTube that explain how to do it. It doesn’t stop there. I have installed hardwood floors, learned how to plumb with PVC and Pex and acquired a ton of other skills. I’ve easily saved over $100K just by doing these things myself. Its amazing what a resource YouTube is. Prior to YouTube and the Internet, all of this was guarded information. Now, it’s all out there and best of all, it’s free! I have lived in many homes (we used to be flippers) and have seen my share of shoddy work. It may take you a bit longer than the professional, but I think that many of my jobs are better than what the professional would have done. The sense of gratification is incredible. After you’ve completed a beautiful tile project or railing installation, you’ll want to put a chair in front it, sit down with a beer (hopefully a pale ale) and stare at it (with a smile) for a while. You’ll have something to be proud of for years to come. As an added benefit, your husband or wife will be in awe of your new skill. So, the next time that faucet is leaking or your spouse is complaining about the green tub and toilet from the 1970s, don’t lament. YouTube it! I’ll immediately grab your rss as I can’t find your e-mail subscription link or e-newsletter service. Do you’ve any? Please let me know in order that I could subscribe. Thanks. The wood floor is gorgeous! We used to be big do it yourselfers back in the day… Built a house 5 years ago and haven’t had to do anything to it (been nice) BUT I DO want hardwoods in our basement (currently carpet) and am thinking it would be a good project for my hubby. Thanks! In that picture, it is birch which I do not recommend. While beautiful, it just doesn’t hold up as well as oak (despite what the flooring salesman tells you). You may want to consider a strand bamboo product. It looks good and is solid as a rock. It will resist moisture better than wood and you can also do a floating installation which may be necessary if you’re on cement. Yeah, its amazing all of the stuff that’s out there! It’s cool that something that started out as just stupid cat videos has morphed into something that is actually useful.